This wooden pallet recycling has been a long journey in my life. Ever since I started wooden pallet recycling my life is literally transformed. I do it with very strong determination as it gives me a feeling that I am indirectly doing something good for the nature by recycling the woo and discouraging the cutting of trees, and I am also being helpful for the masses who just can not afford to get their furniture installations changed every year as wooden items are pretty expensive out there in the market. So just in the continuation of the same notion, we bring you guys a wooden pallet lounge couch. A lounge which is considered to be the middle or centre of house where usually the entire family gathers to watch TV or may be for a gossip or just for having a meal. So this lounge couch should be made very smartly keeping in view the available space. Here is the lounge couch that we are talking about in this wooden pallet plan. 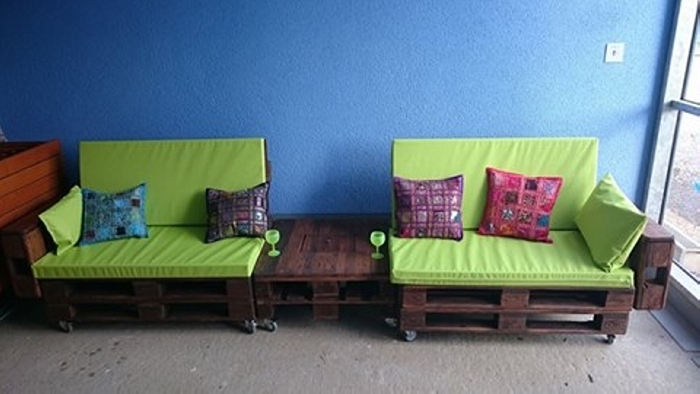 These huge seated wooden pallet couches are made using some raw wooden pallets. 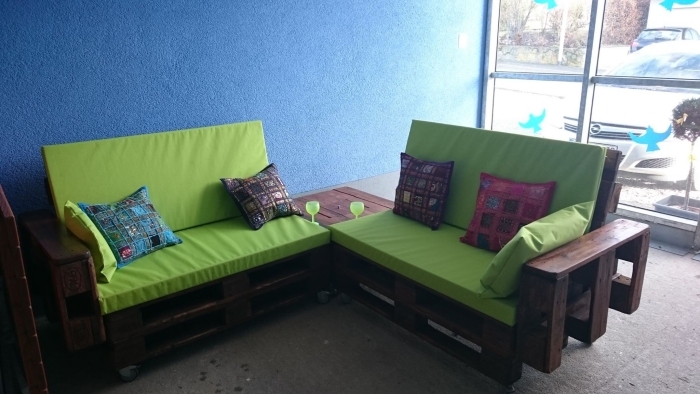 The whole of the frame is made using pallet wood exclusively, plus we can also see the built in wheels on the base and that is an additional quality of this wooden pallet lounge couch. Whenever we equip some wooden furniture item with built in wheels, we just enhance its mobility, and it becomes pretty easy to drag the item from one place to another. In all the house holds room settings are changed after certain time period. So when such huge furniture items are on wheels, this is just a push of hand that can get your work done. Plus the huge size of these lounge couches is quite industrial style of wooden furniture that adds to its elegance a lot.